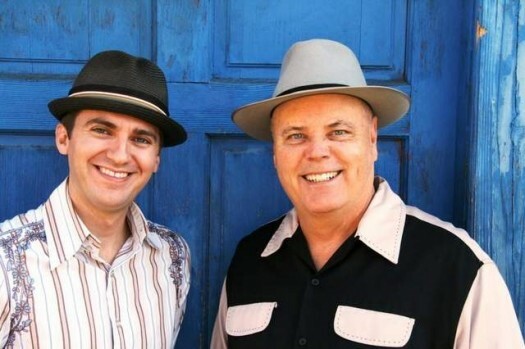 David Holt and acoustic music star Josh Goforth join together to bring the joy and spirit of old time mountain music and stories to life. They combine the virtuosic sounds of guitar, banjo, fiddle, slide guitar, mandolin with a world of exciting rhythm instruments. Josh is descended from many of the old-timers David learned from in the late 1960s in Lonesome Mountain, NC. Audiences of all ages are treated to a show exploding with creative energy, fun and amazing musicianship. “Carolina Heroes” is the theme of the new show by David Holt and Josh Goforth. 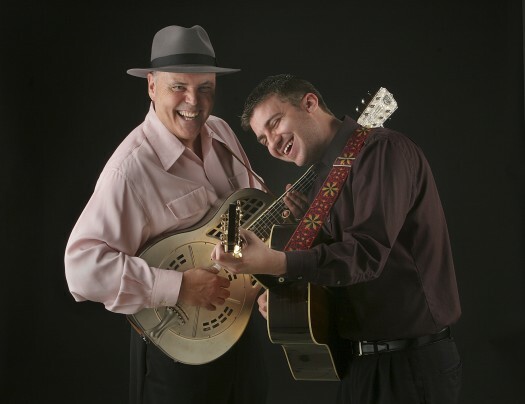 With songs and tunes learned from North Carolina musical mentors, Holt and Goforth weave stories, film and photographs into this multi-media concert. David Holt has known his share of music legends: Doc Watson, Earl Scruggs and Grandpa Jones, among them. 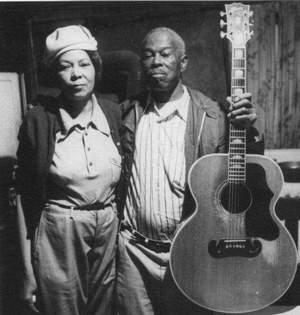 old-time blues duo of Walter and Ethel Phelps, and the Black Mountain songwriter and musician Walt Davis. Davis wrote the tune “Hula Lou,” but also wasn’t that interested in having his name attached to projects. Holt has collected a treasure trove of archival material for “Carolina Heroes.” He had some photos himself and found others around the area. “I wanted to keep adding to the visual aspect. I think there might be several volumes of CDs over the years,” he said. He is also continuing to play with his band the Lightning Bolts and the trio Sutton, Holt and Coleman, with T. Michael Coleman and fellow Grammy-winner Bryan Sutton. “It sounds like a law firm,” Holt joked about the trio, previously known as Deep River Rising. “I get these projects that I’m excited about, and I’m off and running,” he said.